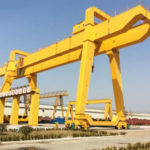 The QE type double trolley overhead crane, as the name implies, is equipped with two hoist trolleys of equal lifting capacity, both of which can be used independently and simultaneously. 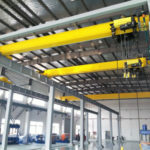 The trolley overhead crane is capable of lifting up to 200 tons, and it performs the lifting work more efficiently and safely. The overhead trolley crane design is in line with GB / T3811 standard. 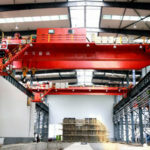 The dual-trolley overhead crane is extensively used in mining and industrial workshops, warehouses and storage yards to lift and transfer long pieces of items, such as wood, paper tube, bar and steel pipe. When working outdoors, it will be equipped with rainproof device. 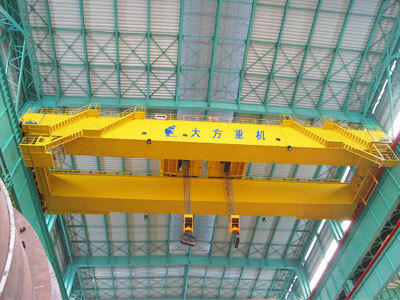 Designed for general purposes, this double trolley overhead crane cannot be applied in hazardous environments, such as explosive and flammable atmosphere, corrosive substances and high heat environment. The trolley conductive device uses “C-slot + pulley” suspension cable. The crane and trolley travelling mechanisms adopt motor soft starter. The hoist trolley designed by our company can automatically adjust the height of wheels. 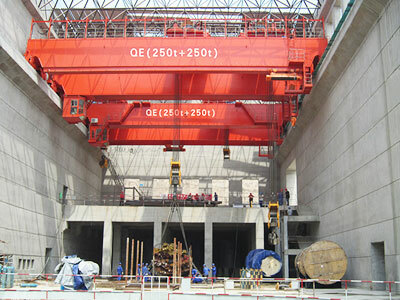 The hoist over 10 tons will be arranged horizontally to increase the hook coverage. Safety device: overload limiter, travel limit switch, anti-collision device, etc. 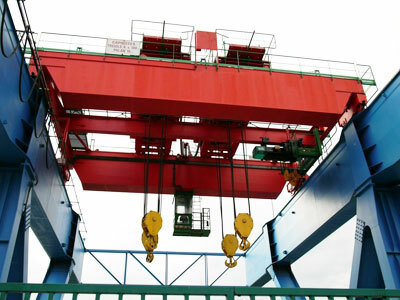 The double trolley bridge crane provides great flexibility for lifting long loads. The trolley mechanism which combines an electric hoist and a top running trolley provides two directions of load motion, up or down, left or right. 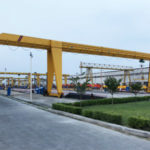 The double trolley crane is composed of a main trolley and a secondary trolley, which can be used simultaneously for more complex operations, such as installation process. The double trolley can also be operated separately that functions the same with an ordinary single trolley bridge crane. 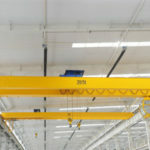 In actual engineering projects, there are often complex lifting situations that require two overhead cranes to work together, such as lifting long item. 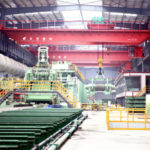 However, it will increase the construction cost of the plant. 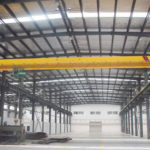 A double trolley overhead crane can perfectly solve such problems for clients. To get a free quotation, contact us online now!